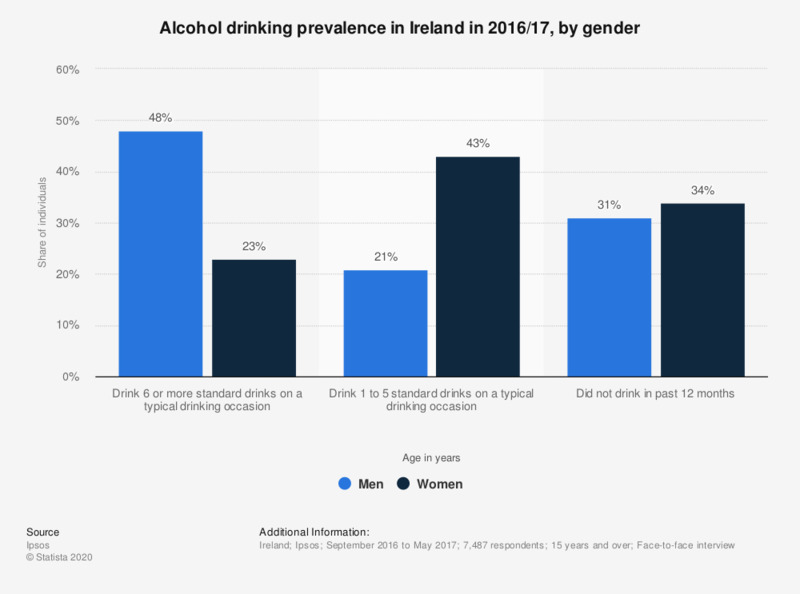 This statistic displays the smoking prevalence in Ireland in 2016/17, by gender and drinking behaviour. In 2016/2017, 48 percent of the male respondents drank six or more standard drinks on a typical drinking occasion. How do you rate your child's alcohol consumption?